In 1975 the British Royal Navy banned cats on its ships and put an end to a tradition that had been in place for hundreds of years. For example in Louis XIV’s French Navy in the seventeenth and early eighteenth centuries all French ships were ordered to carry two cats for rodent-control duties. Rodent-control was the reason cats were put on ships. All trading nations adopted this practice. It is believed that Cats arrived in Europe by boat from Ancient Phoenicia (maritime trading cultures on the african coast of the Mediterranean). They set their paws down on european soil in about 900 BC. 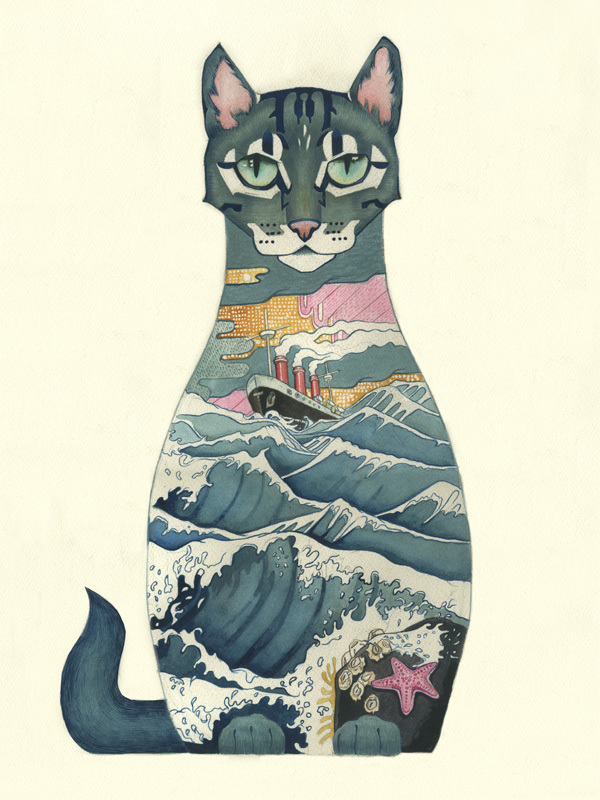 Gradually cats became worlds travellers, eventually reaching nearly all parts of the world accessible by ship. Over the centuries their offspring developed into different breeds according to the climate in which they found themselves and the mates they took, as well as the deliberate selection by humans. Cats have long had a reputation as magical animals and amongst the sailing community it is not hard to see why superstitions solidified, sailing was a dangerous business, and if a cat were to bring good luck then all the better! British and Irish sailors considered adopting a black “ship’s cat” because it would bring good luck. As a result most ships cats received a high level of care to keep them happy and to keep the ship lucky. Famously a cat called Convoy aboard HMS Hermione slept in a hammock! Convoy was so named due to the number of trips he had successfully made during the second world war. Convoy’s luck ran out on 16 June 1942 when a U-boat sank HMS Hermione, sadly killing Convoy and 87 crew members. 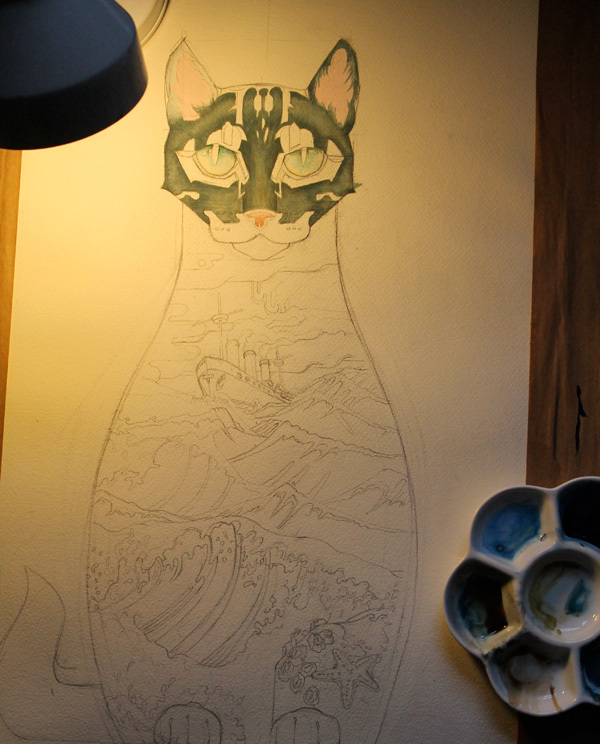 This ships cat is watercolour, I used a lot of prussian blue and davys gray. 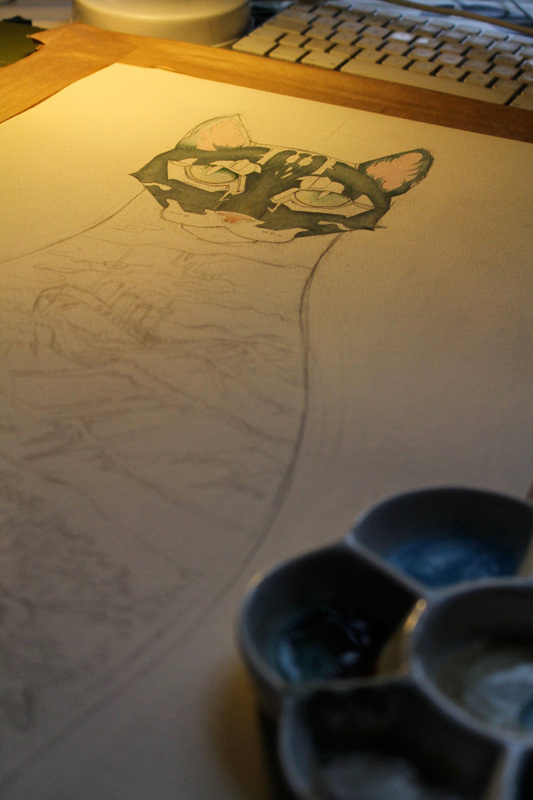 Below, you can see the painting in progress.